Apparently the reason that a lot of “true” metal fans hate Babymetal is because such a ridiculous concept is “killing metal”. As such, it’s kind of ironic that those exact people are the ones that a band like Iced Earth have the most appeal to, especially considering there’s nothing inherently more ridiculous about them than with Babymetal. Let’s not forget that this is a band who recorded a seven-release saga surrounding the original occupation of Earth by an alien race who raised and corrupted an Antichrist to exact their revenge upon the humans that took over. That arc has been wrapped up now, but eleventh full-length Incorruptible is no more grounded, taking cues from various parts of history, fantasy and literature for a thematic gamut ranging from pirates and Vikings to the role of the Irish during the Battle of Fredericksburg. But say what you want about Babymetal, there’s at least some levity and fun there; Iced Earth are wholeheartedly embracing their material with a straight face, and paradoxically, that’s probably the most entertaining thing about it. As completely deluded of its own self-importance as it is, Incorruptible has more than a few moments of completely unintentional hilarity, and more often than not, it’s as good as it is for all the wrong reasons. One of those is certainly not the instrumentation, as while Iced Earth have immense technicality on their side – see the spiraling instrumental track Ghost Dance (Awaken The Ancestors) or extended outro of Clear The Way (December 13th, 1862) – this is largely meat-and-potatoes trad metal, fit for purpose but without much in the way of unique flavour or spark. At least the band seem to know the limitations of directly lifting from the Iron Maiden playbook, and the bits of thrash on Seven-Headed Whore and folk-metal on Raven Wing at least attempt to shuffle up the formula, even if their effects aren’t the most striking. Instead, Iced Earth’s main “strengths” lie in the lyrics and delivery. Going back to Babymetal, they may have songs about chocolate and cosmic fox gods, but the cartoonish presentation makes them feel completely natural; compare that to Iced Earth, the delivery is so stony and humourless that it subsequently makes it that much funnier. Stu Block has a solid metal voice, but there’s such intense passion that goes into lyrics about turning into a raven on Raven Wing, or an ancient talisman unleashing its demonic powers on The Relic (Part 1) that it goes right into laughably mawkish territory. Couple that with the pirate voice on Black Flag and the hilariously off-piste Rob Halford-style falsettos, and much of Incorruptible‘s entertainment value comes from how ludicrous it can be. Because let’s be blunt, if it wasn’t for that, this album would be nowhere near as enjoyable as it is. It does mean that there’s a limit to how much praise can be given for an album that thrives on ironic pleasure, but even for as unfocused and enormously cheesy as it can be, Incorruptible isn’t bad. There’s at least life and drive here, even if that’ll only be appreciated by the dedicated few still buried in this sort of thing and nothing else. Even for those outside of that group though, it’s worth a spin or two, if only for a laugh. 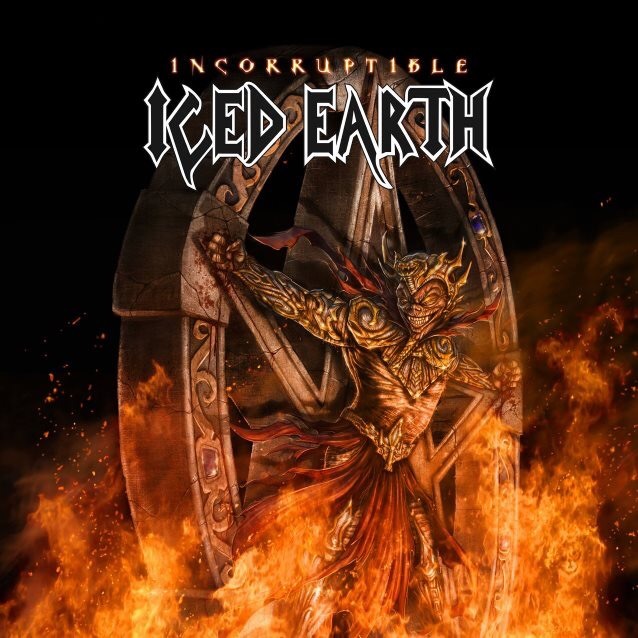 ‘Incorruptible’ by Iced Earth is released on 16th June on Century Media Records. This was a terrible and biased review.